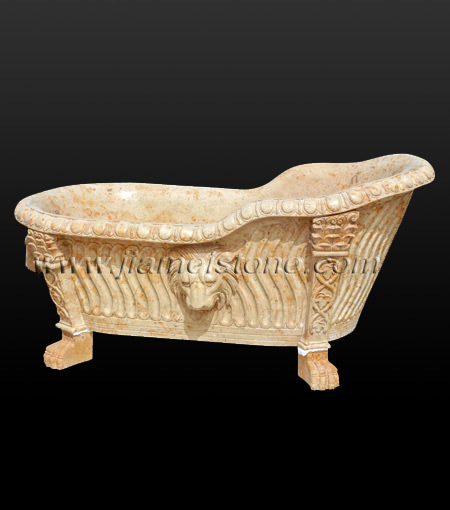 Bathtub hand carved into a solid mass of natural stone has and always will be within the reach of only a privileged few. 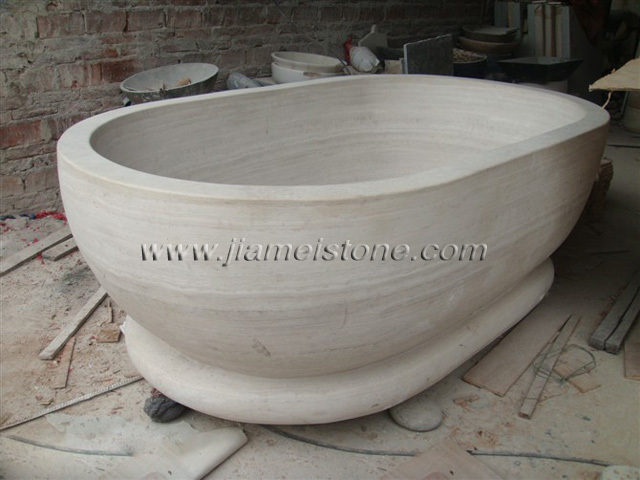 The selection of a suitable block of stone requires the highest degree of professional experiences, and the characteristics of each stone, either marble or granite block guide the ultimate design and shaping of the marble or granite bathtub. 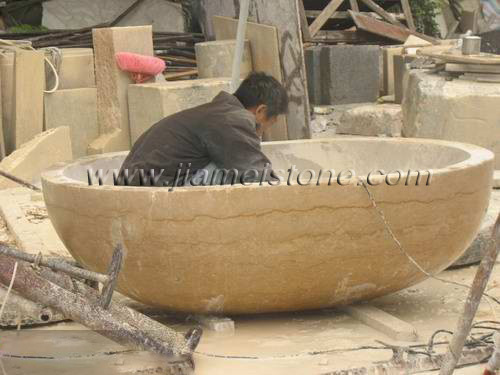 The pure joy of bathing inside the heated stone is an experience never to be forgotten. 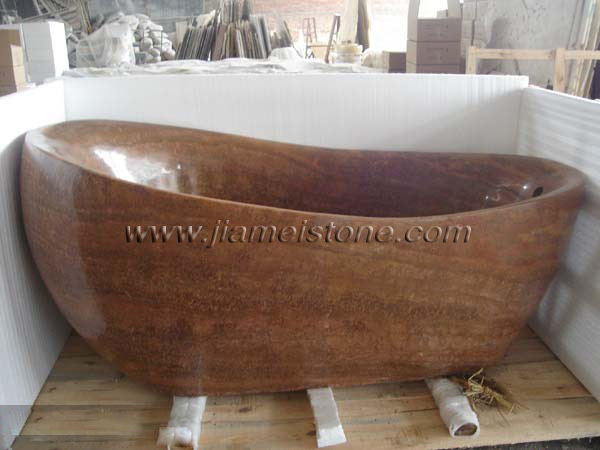 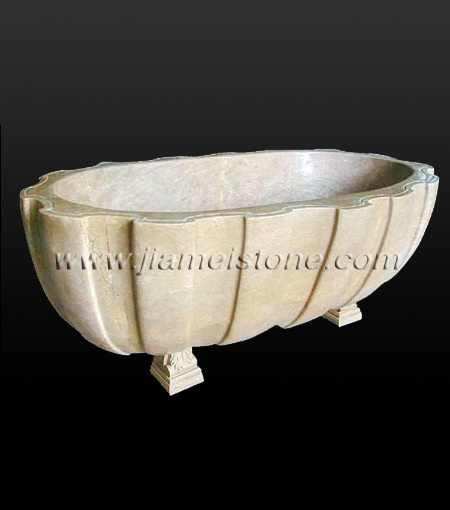 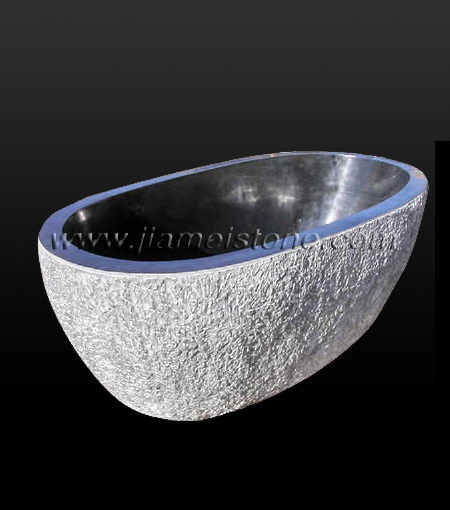 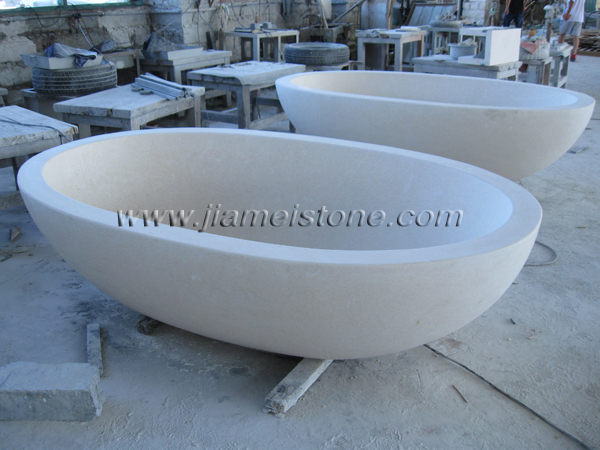 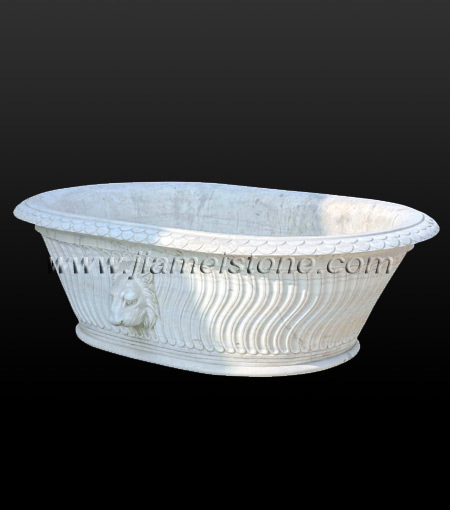 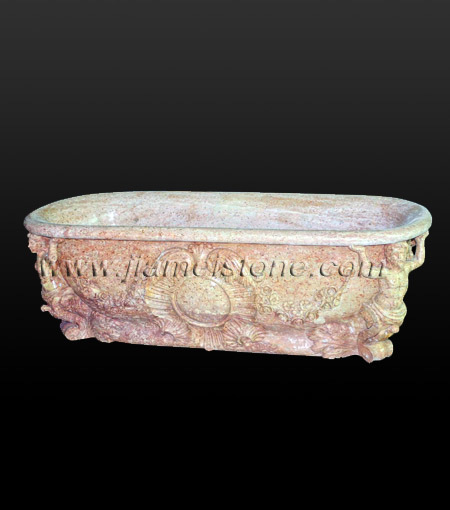 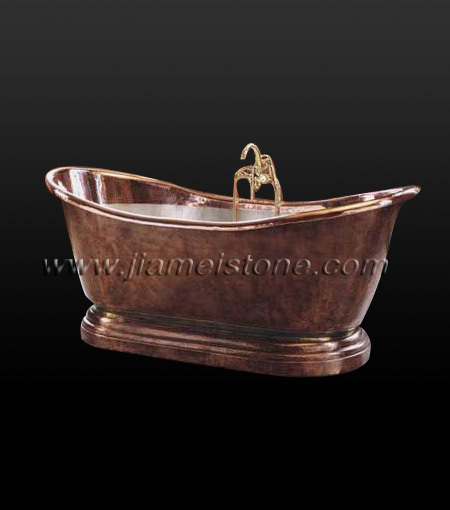 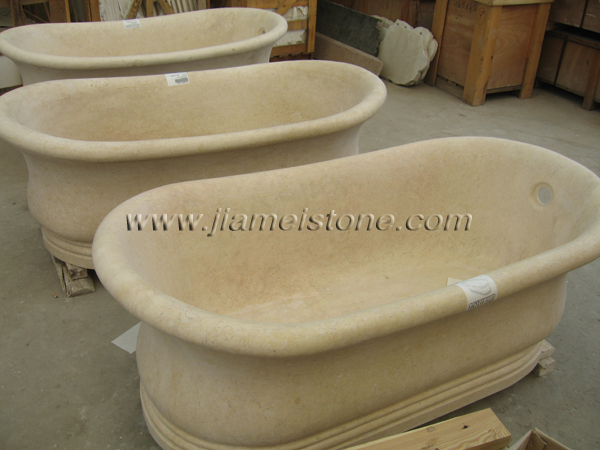 Jiamei Stone manufactures and distributes Stone Bathtubs in various colors, designs and shapes. 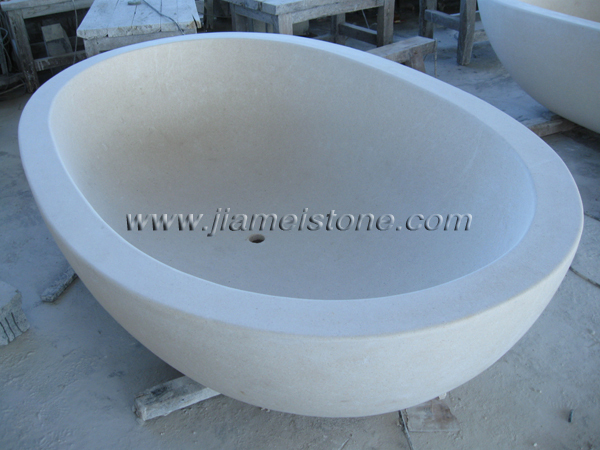 Each Jiamei's stone bathtub is custom designed so to blend with the architectural specifications of every client. 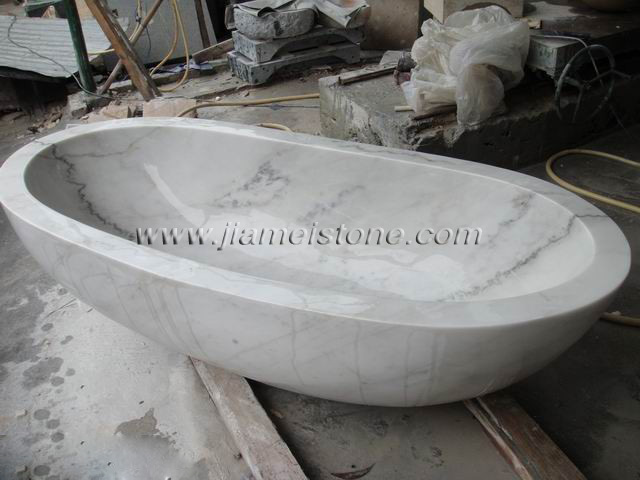 If you don’t see what you want there, let us work with you to get the marble bathtub or other stone bathtubs that fits your needs with the look you want. 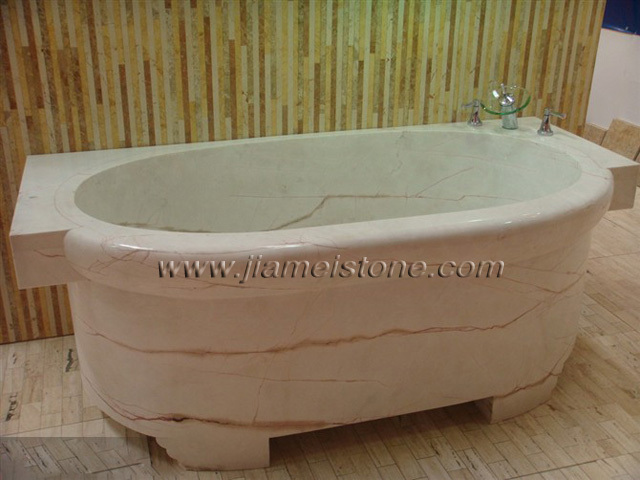 Popular materials suitable for stone bath tub include marble, granite, basalt, limestone and travertine. 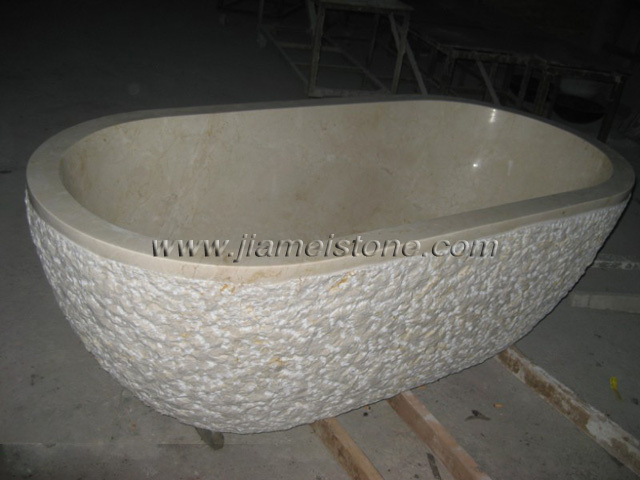 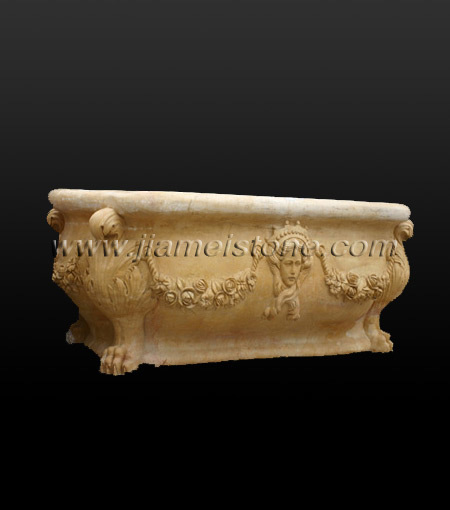 Granite bathtub typically comes in simple styles while marble bathtub or travertine tub can have much more ornate carvings. 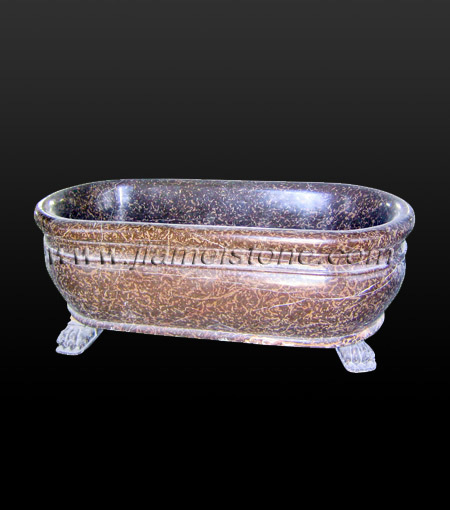 Granite bath tubs made in selected colors are the most cost effective stone bathtub solutions, Common external finishes for granite bathtub are honed, polished or natural split. 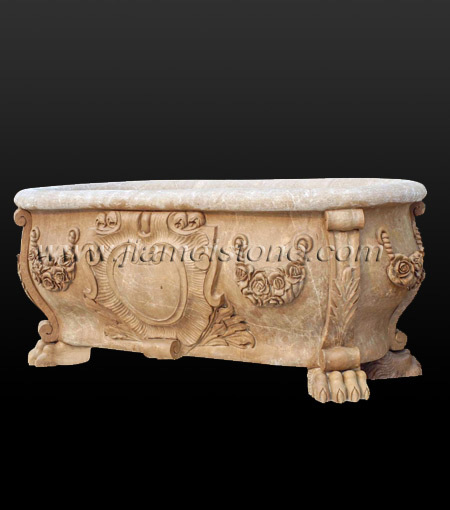 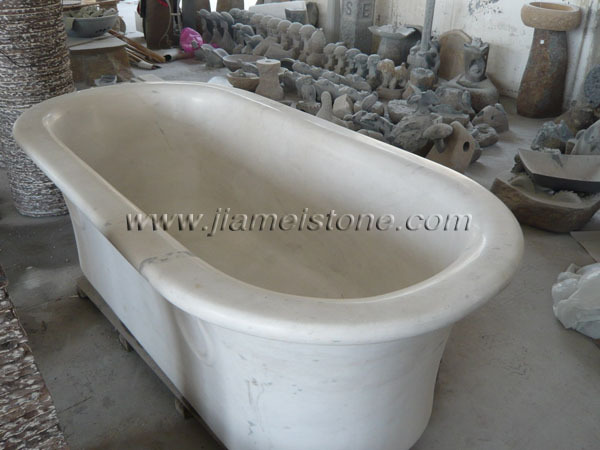 Travertine bathtub and marble bath tub can be polished, honed or acid washed to create antique appearances. 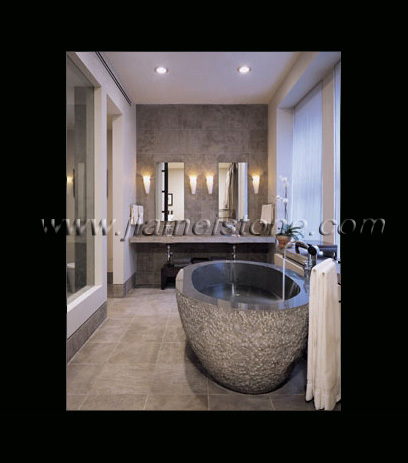 All JIamei granite bathtub, marble bath tub and travertine tubs are customizable in style, dimension and color.